Jeff Gonzales heads up the staff of diverse trainers and instructors for Trident Concepts, LLC, a reality based company specializing in personal protection tactics and training for armed and unarmed conflicts. Jeff Gonzales heads up the staff of diverse trainers and instructors for Trident Concepts, LLC, a reality based company specializing in personal protection tactics and training for armed and unarmed conflicts. Jeff was a decorated and respected US Navy SEAL and has worked in a variety of environments and capacities throughout the globe. In this video Jeff reviews concealed carry tactics, techniques, and procedures. 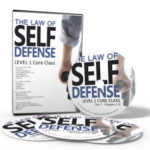 He goes over situational awareness, everyday carry practices, conflict resolution, the threat matrix, and contact with on duty police. 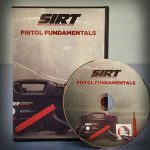 He also reviews handgun and ammunition selection, belt and holster selection, clothing selection, methods of carrying concealed, drawstroke techniques, reloads, defeating multiple cover garments, and more. Jeff presents you with a straight forward approach to concealed carry. 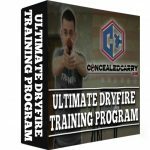 Be the first to review “Make Ready with Jeff Gonzales Concealed Carry TTPs” Click here to cancel reply.